Every school receives a sports grant as part of the Olympic legacy from London 2012. We have recently taken part in a whole school training day (May 2018) in how to deliver the Real PE programme. This is a programme that we are very excited to begin delivering in one of our 2 hours of timetabled PE each week. Click the link below to read more. PE Partner use a Spiral Curriculum approach to education, that introduces key concepts to students at a young age and covers these repeatedly, with increasing degrees of complexity. For more information about this see the pdf. link below. Here is a link to the School Sports Partnership website for our school, where you can find information about upcoming competitions and clubs affiliated with Asquith Primary. We are proud to be working alongside Premier League Primary Stars. This year (17/18) we will be working closely with coaches to plan and deliver fun and engaging PE activities to help pupils develop their skills in everything from balance and coordination to athletics and throwing skills. In addition to this, challenging topics such as resilience, diversity and self-esteem, will be brought to life by personal insights from children and top figures of the sporting world. We were lucky enough to be visited by Leeds United goalkeeper Bailey Peacock, who kindly answered all of our questions about his inspirations, work ethic and hobbies outside of football. Asquith Primary are excited to introduce the 30:30 Wristband Challenge! This is an initiative that has been developed by the Carnegie School of Education at Leeds Beckett University, to increase the amount of physical activity (PA) that primary-age children currently do. The challenge is to be physically active enough to earn a certificate, a bronze, a silver and a gold wristband. This is currently being trialled with KS2, please click the links below for more information. 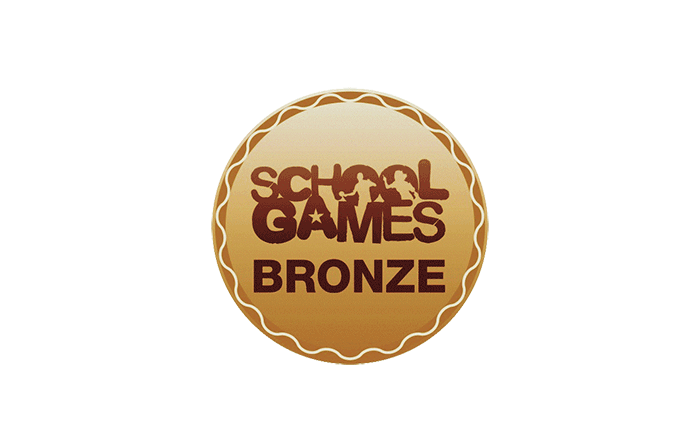 We are incredibly proud to be awarded a gold School Games Award for the second consecutive year. A huge part of winning these awards is due to our level of participation in physical activity. In addition to the two hours of PE each week and a weekly mile run, we also take part in competitions and clubs both in and out of school. This is something we are very proud of! Swimming lessons run throughout the year in Year 4 classes only. Please click the link to read advice for parents about swimming in school. Morning Sports Club places are offered to different children each half term, to give the maximum number of children the opportunity to get involved. Look out for the letter the first week of each half term. More clubs will be offered throughout the year. For more details and to find out how we are getting on in competitions, please follow our sporting blog (scroll down). After playing 6 games of this year's MSSA football league, we are currently 6th in the table out of 13 schools. Our pupils from year 5 and 6 have been making us proud and representing Asquith week in week out! Games will resume in February - we will keep you updated on our progress. We are excied to be able to invite our year 5 and 6 children to come to a 'come and try' Netball event that will be held at Bruntcliffe High School on Tuesday 27th November 3:45 - 5:40. We have been given the opportunity to invite pupils from Year 5/6 to a ‘come and try’ Netball event at Bruntcliffe High School, and have decided take this opportunity to target children who have shown a particular aptitude for competitive sports in PE lessons. Netball club will be starting after Christmas in preparation for tournaments in the Summer term - we are hoping to inspire our future Netball team! A great performance by KS2, who despite being one player down came third in the tournament. Well done! Staff and parents were incredibly proud after watching a fantastic performance from the Y5/6 netball team! They won every game in the first round of the tournament, and went straight to the final where they played an equally brilliant Churwell side. Great effort from some very talented and dedicated students! KS2 represented school brilliantly at the swimming gala, bringing back a whopping 8 medals!